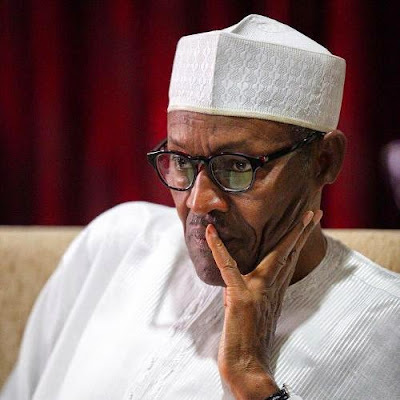 In recent times there have been media planted accusations and claims by some elements as well as fifth columnists alleging that the Igbos hate the current President of Nigeria popularly known as African Hitler Muhammadu Buhari (AHMB) for no reason. It’s important to note that these accusations and claims were deliberately planted to confuse the public and present AHMB as a victim of hate. However, the reverse is the case as the African Hitler is a well known chronic Igbo hater. Am sure that many people will not know that Buhari was instrumental to the "articulation, formation and implementation of the strict adherence to the unwritten agreement amongst the Nigeria civil war winning booty beneficiaries" that an Igbo person must not be allowed to rule Nigeria after the bitter Biafra–Nigeria civil war. The year was 1975 and the civil war had been won and lost 5 years earlier precisely in 1970. A new military government has just taken over and AHMB was incidentally a member of the Supreme Military Council and that presented him (AHMB) the opportunity to move the "underground motion" that Igbos MUST be "dealt with" for their failed attempt to secede from the Nigerian federation. To accomplish that, Buhari had suggested that apart from denying Igbos economic power and destroying every attempt that they have made to move forward after the bitter war that they must also never be allowed a shot at the presidency of the country because according to him, it will give them another opportunity to secede or avenge the atrocities committed against them during the war. This was Buhari's propagation against the Igbos. Buhari’s fear stems from the fact that he was a major participant in the war and had noted the bravery of the Igbo Biafrans. Their determination to fight for whatever they believe in with little or no support; even when outnumbered and outgunned. AHMB also assured the other members of the Supreme Military Council that the way to keep the Igbos subdued and submissive to federation is to ensure that there was a sustained economic and political blockade against them. [Buhari's propagation against the Igbos]. Convincing the council wasn’t a much of hard work for AHMB. What was a source of worry was how to execute the plan without it being so obvious. It must be stated here that why other members of the council were worried about how to execute the "unwritten agreement/resolution" without making it so obvious. Buhari particularly cared less. To achieve this plan the Supreme Military Council dispatched to then East-Central state a mandatory Military Proconsul in the person of now late Colonel Anthony Northerner Ochefu whose given assignment was the dismantling of the East-Central State Public Service. MUST READ: BUHARI CANNOT STOP THE COMING OF BIAFRA. To achieve this assignment, Colonel Anthony Northerner Ochefu had for good measure declared that the MAINFRAME COMPUTER of the Eastern Data Processing Center (which records confirms was the first of its kind in the African Continent, long before the IT current craze) was unnecessary madness, beyond the needs and the interest of the state in particular and "Igbo Biafrans" in general. That action so delighted African Hitler Muhammadu Buhari [AHMB] that he personally supervised, in conjunction with the Military Pro-consul of the East Central State the deliberate stripping, summarily dismantling and the relocation of the computer to Ahmadu Bello University in Zaira, Kaduna State where it found needful and sane home which only resulted in its waste till date as it was not put to any use. A classic example of it is better that it is wasted in the north than to be useful to the AHMB hated Igbos Biafrans. The data computer and center was strategic to the economic and overall planning of developmental needs of the Igbos Biafrans after the bitter civil war. However, as event and fate will have it, an Igbo man, Dr Alex Ekwueme for reason that Buhari couldn’t fathom became Vice President of the country not long after AHMB had vowed to stop the political rise of persons of Igbo origin in the country . That Ekwueme had the opportunity of aspiring for the presidency at the end of the tenure of then President, Mallam Shehu Shagari was what Buhari will not be alive to witness. Therefore, to abort the possibility of such omen happening, Buhari had to lead his cohorts in the army to over throw a democratically elected government on 31st December, 1983. AHMB in display of his hatred for Biafrans that have defied all logic will have the Vice President, Alex Ekwueme (who is of Igbo Origin) of then democratic government that he just over threw thrown into Kirikiri prison over frivolous corruption accusation while keeping the man at the helm of affairs of the government, President Shehu Shagari who incidentally is a fellow Fulani man with Buhari under air conditioned house arrest. Buhari in continuation of his hatred for Biafrans will go ahead to arrest and detain the leader of the defunct Biafran republic, Dim Chukwuemeka Ojukwu who has never been part of any Nigerian government of corruption charges. AHMB will equally be involved in similar scenario of ensuring economic and developmental strangulation of the Igbo nation when he became the head of state of the country following this successful coup. He will immediately appoint his own Military Pro-consul, in the person of Bridadier Ike Nwachukwu also known as Omar Sanders (a hawkish and a humbugic military officer who like Buhari himself had played an active role in the massacre of his supposedly fellow Igbos during the Nigeria-Biafra civil war) as the Military governor of Imo state. Again, his assignment: dismantle the gains made in Imo State under the then civilian Governor, Sam Onunaka Mbakwe [Dee Sam Mbakwe]. As expected by the Igbos Biafrans in the know, Ike Nwachukwu’s first declaration, under what he called "Imo formula" was to dismantle the 42 industrial establishments (geared towards massive employment of people) embarked upon by Sam Mbakwe, which were at various stages of completion, and financial commitments settled. Offcourse, Ike Nwachukwu’s "major achievement" throughout his reign in the state was to consolidate the Imo State University under a single campus at Uturu, near his "country home", against the 5-campus planned design which the government of Sam Mbakwe had envisioned after the model of the State of New York University System, evolved into a beautifully designed network of university campuses intended to stimulate strategic, short and the long run development of the state as well as carter for a wider range of students’ needs and skills. Thank God that AHMB reign was short lived because independently verified information has it that he was preparing for his well thought out and final onslaught against the Igbo Biafrans before he was finally over thrown by his fellow northern military officer, Ibrahim B. Babagnida, who accused him of lacking the "fairness" needed to govern a multi-ethnic and multi-religious country as Nigeria due to his divisive and vindictive nature as well as his parochial interest.